USGS announced the winners of the Visualize Your Water High School Citizen Science Challenge last Wednesday, the day before Earth Day. It was also National Environmental Education Week. As the post goes to press, the original press release is no longer on the USGS website due to a technology change; here is the Google cached version. Yesterday, Esri announced the winners. 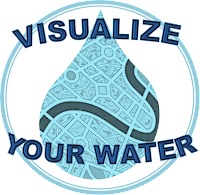 Get this GIS education update free, via e-mail, every Thursday! Where else would you learn how many students were in the USGS/EPA contest or what technology they used? Explore your world through field mapping with OpenStreetMap is short tutorial describing how to use a mobile device or field papers (pen and paper) for field mapping. Esri and NCGE offered a webinar for human geography and U.S. history teachers on the ArcGIS Online-based GeoInquiries last night. 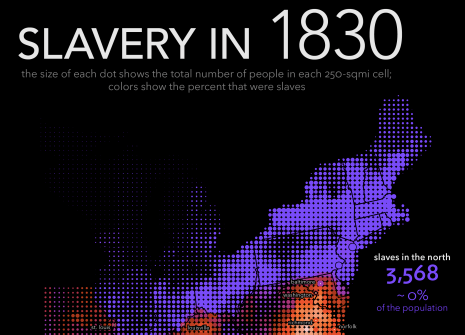 Bill Rankin offers a series of maps depicting slavery in the eastern U.S. between 1790 and 1870. What term should employers use to attract software developers in geospatial? An unscientific study compared the use of the terms "FOSS4G" and "geodeveloper" on Twitter. The second course in the UC Davis GIS Specialization sequence, GIS Data Formats, Design and Quality, begins May 2. The National Park Service will offer a webinar on Mon, May 9, 2016 12:00 PM - 1:00 PM EDT titled Designing National Park Service Visitor Maps. Tom Patterson, Senior Cartographer at NPS will discuss the what, why and how of recent map design changes. The AAG offers a map of Geography Programs in the Americas. Data is from this PDF, if you want to make your own. Harvard has two free events of note: one starts today (first I heard of it): Space, Place, and Geographic Thinking in the Humanities (agenda pdf). The other is in June: Dynamic Mapping of Secondary Cities Symposium (agenda PDF). Raphael Moreno of UC Denver shared these presentations from his talks last week at the Colorado GIS in Higher Ed Summit. There's a proposal that new “vocational high schools” in Hungary, aimed to prepare students for skilled jobs, drop geography as a standalone subject. The Hungarian Geography Society is already fighting against the idea. Jane Goodall celebrated Earth Day with Esri and the University of Redlands. 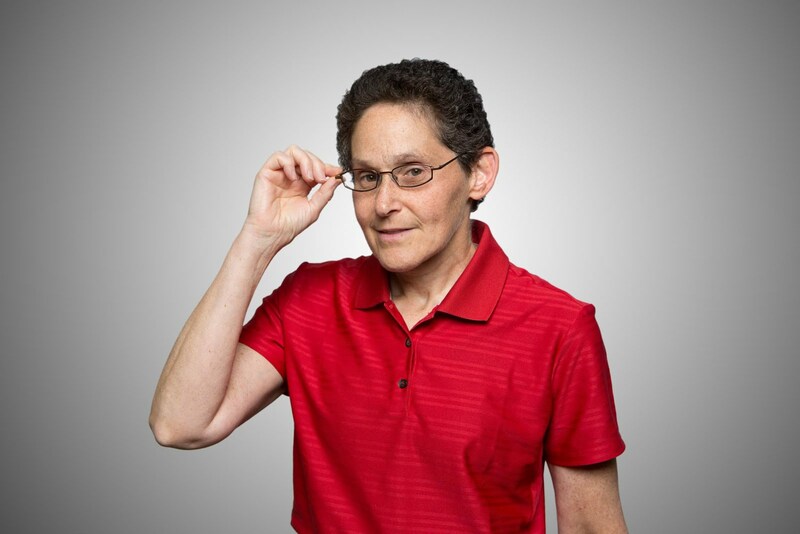 She gave a few talks, joined students from local Roots & Shoots chapters to plant a tree in the Sustainable University of Redlands Farm (SURF), and received an honorary degree at the University of Redlands. 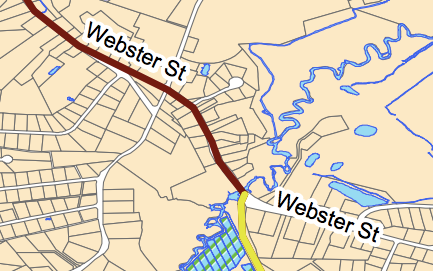 PDF maps of 15 local trails in Marshfield, MA have been added to the conservation commission section of the town's website. Much of the work was done by Cameron Frazier, a senior geography major with a minor in GIS from Bridgewater State University who is interning for the commission. Ventura College's new Applied Science Center includes tech to explore big maps. Steve Palladino, a faculty member who teaches geography and environmental science, has students wear 3D glasses to visualize an interactive map measuring 20 feet by 7 feet. OSGeo welcomes 22 students within the Google Summer of Code 2016. They were selected out of 39 proposals received. Students from the University of California Santa Barbara's Bren School of Environmental Science & Management will present the results of their capstone Master’s Projects to a public audience at the Fess Parker Doubletree hotel in Santa Barbara tomorrow. This is service learning, "real, valuable consulting work for clients who have a stake in the outcome..."
Last week a group of about 25 people set out on an hour-long trek across the University of Georgia campus to hear about racialized spaces on campus. Amy Ross, associate professor in the Department of Geography led the tour. I wonder if anyone will make a story map of the content? Clio Andris, assistant professor of geography in the Penn State College of Earth and Mineral Sciences, along with architecture graduate student Sohrab Rahimi, are studying how cities including the borough of State College, PA, play a role in modern romantic relationships. And, yes, GIS is involved: After collecting data from couples tailgating at a football game, "they used a suite of geospatial processing programs called ArcGIS to transform the data into 3-D interactive maps." A Sussex University geography student who took part in a field trip to Southern California discovered a 2000 year-old Native American spear and arrow points. Mirea Lauria found the Native American artifacts in the Mojave Desert. The finds are now in the San Bernardino Museum. Steven Feldman called Boundless out for misrepresenting its relationship with the QGIS project and OSGeo. He also notes that the company failed to connect with Geo for All, the OSGeo education effort. There's a somewhat related post by Tim Sutton, the QGIS project chair about how organizations need to manage their relationships and their communications about those relationships with open source projects. 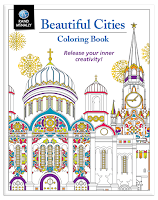 Well-known author and cartographer Gretchen Peterson released an adult coloring book of maps last month (it's a #1 best seller). 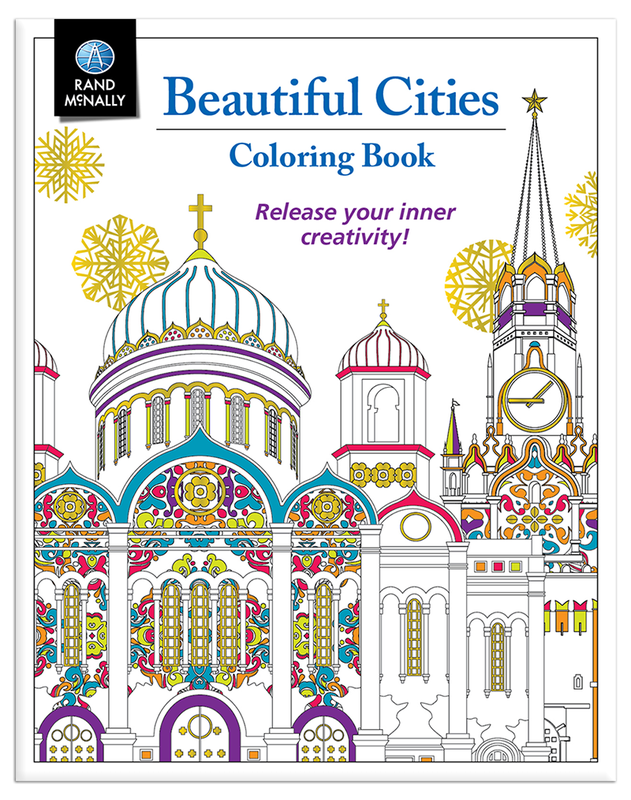 This past week Rand McNally released an adult coloring book featuring iconic images from and maps of cities around the world. The link to education? The press release for the latter references a 2005 study of 84 students who colored after an anxiety inducing experience. While all the students reduced their anxiety, individuals in groups that colored either mandalas or plaid patterns reduced it more than those who did "free form" coloring. I am not aware of a study that considered the impact of coloring maps. The Geospatial Research Institute (GRI), based at the University of Canterbury, New Zealand, aims to expand the value private and public investment in spatial data acquisition, application and research. Launched on Tuesday, the institute will be "a hub of exploration, invention and collaboration." The 3rd Annual Geospatial Education Forum 2016 will be held on 12th August 2016 in Dar es Salaam, Tanzania. The event invites stakeholders in universities and other institutions of higher learning to a round table discussion on how to improve the teaching of GIS, remote sensing and photogrammetry. This tech focus is on the Hexagon Geospatial Power Platform. The Kentucky Association of Mapping Professionals, the National Geospatial Technology Center of Excellence and Directions Magazine will host the inaugural Distinguished Geospatial Speaker on September 21, 2016 at 2 pm EDT. David DiBiase will explore ethics in GIS education and professional practice. On July 6-8 in Boulder, CO, NCAR will host a workshop "to enhance geospatial education by integrating major issues of environmental change into the GIS curricula. This 3-day workshop will introduce GIS faculty and instructors from U.S. universities and colleges to fundamental concepts of atmospheric and related sciences." All are welcome to apply by May 25, but "faculty from community or junior colleges, Historically Black Colleges and Universities, Tribal Colleges, and Hispanic-Serving Institutions are encouraged to apply." Travel support and per diem are available. Business Analyst Online, Community Analyst, and GeoPlanner for ArcGIS are all part of the Esri Educational Site License as part of the ArcGIS Online subscription. If you can't access them, have your campus representative contact your school's Esri Customer Service representative. Privacy, accessibility and student data security: An Analysis of Clever Badges - Managing student credentials is hard, but is replacing something you know with something you have a good idea for the K-2 set?